To be completely transparent, I don’t entirely know what I’m doing here. I can only think of four beers I’ve made that have been over 20 SRM. Also, in recent memory, I can only count on one hand the number of Russian Imperial Stouts I’ve purchased (two of which I’ve gotten in the past two months). Maybe it was sampling a few fantastic imperial stouts at GABF. Perhaps it has something to do with brewing numerous hoppy experiments and spending hours researching and writing a book about hops that has given me a reason to reset both my palate and brain on something else! 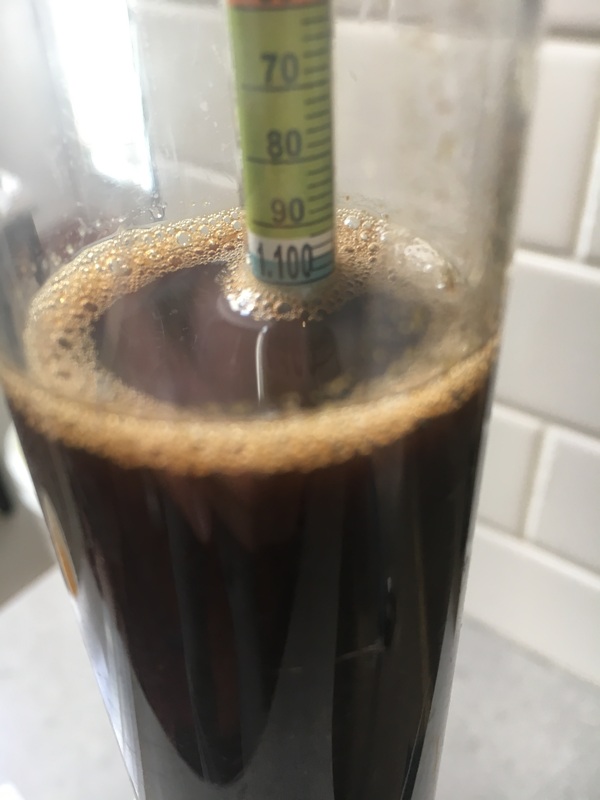 Instead of getting creative with a style I have little experience with, I did what most homebrewers do, and looked at what the Mad Fermentationist has done and decided to go with his Kate the Great Clone recipe as my base. 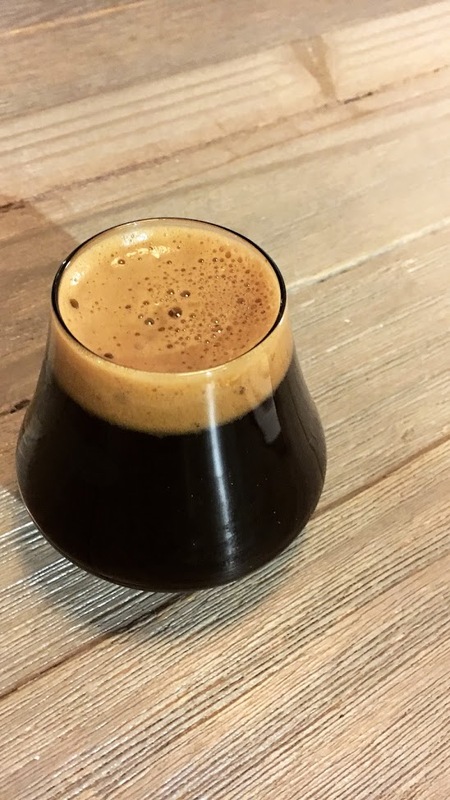 Because of my incredible connections and charm, Mike brought a bottle of his 2011 clone to a Halloween party to share to help as I was thinking about the recipe for this beer. Despite being about six years old, it held up nicely! It was slightly over carbonated, which convinced me to keg my attempt to keep this factor in check. Over carbonation is a mouthfeel buzzkill in a beer like this. It was fun to be able to taste the inspiration beer like this! I knew I wanted a RIS that was chocolate forward, big creamy mouthfeel, and a little bit of roast to hold it all together. The only changes I made to Mike’s original recipe was to double the roasted grains, which was something he mentioned in his initial tasting notes, but also something we talked about when tasting the cellared version. I also swapped all of the flaked wheat for chit malt, mainly because I had it on hand. Shopping for the grains at Maryland Homebrew, I couldn’t help but think this recipe was ridiculous. For a 5-gallon batch, I had about 30 pounds of grain combined with eleven different malts, which is probably close to the total number of malts I used the entire year. I’m a long ways from pale malt, malted wheat, and oats! What exactly all these malts are contributing in their various amounts I have no idea, but this time, I’ll just trust the recipe and move on! 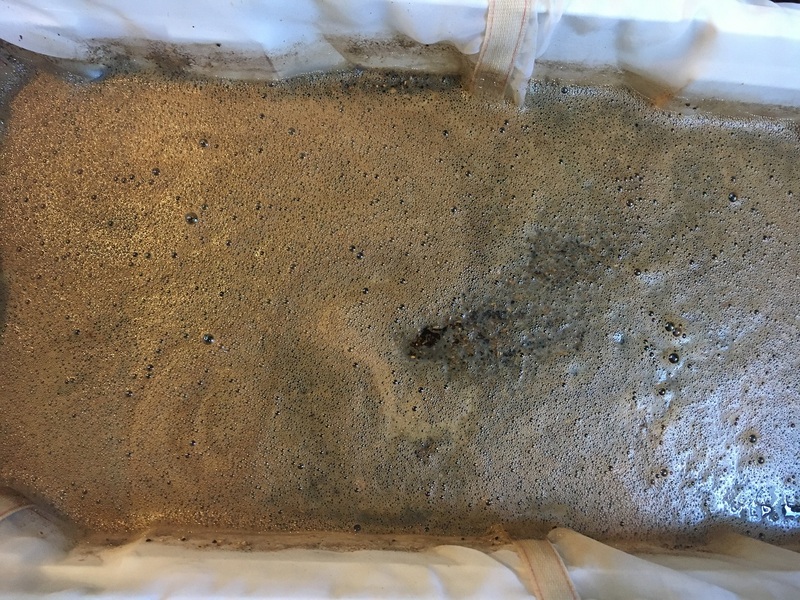 Because malted grains can contribute a significant amount of minerals on their own, especially with the amount of malt in this recipe, I decided to go with a simple water profile of 100% reverse osmosis treated with only calcium chloride. My idea here was to both try and double my efforts on a smooth, creamy mouthfeel, but I also didn’t want to exaggerate the roast malt too much with sulfate like can happen with the perception of bitterness/dryness with increased levels of gypsum in hoppy beers. I’ve had decent luck using S-04 in hazy IPAs (mouthfeel included) so I thought it was much easier just to hydrate and pitch two packs of S-04 than to build a big starter of liquid yeast. Also, it seems to me in a beer like this, most of the flavor and aroma isn’t coming from the yeast anyway, making the selection slightly less important than a subtle pale beer. The vanilla bean addition is one area I experimented a bit with what I believe most brewers do. I decide to go for a modest amount of two organic vanilla beans (split with seeds remaining) in the keg but never removed them. The contact time ultimately ended up being about two-months at 68°F and another month at 38°F. Safale S-04 Ale Dry Yeast x 2 (rehydrated) 64°F for 3 days then 68°F 2.5 weeks in primary then kegged w/ 2 organic split vanilla beans. It was fun to brew something so different, and it’s been even better to have a dessert-like beer on draft this winter! I’m happy with how this turned out; it leans sweeter and chocolate forward rather than bold and roasty. There is vanilla in the nose, but it’s more complex than just that, which is good, I was was a little worried the long-term vanilla bean contact would dominant. There’s a slight peanut aroma that is more like peanut brittle than peanut butter to me that blends in nicely with the chocolate milk-like base. The mixture of a vanilla dark chocolate bar and the peanut aroma reminds me a bit of no-bake cookies made with oatmeal, vanilla extract, peanut butter, cocoa, and coconut oil. One friend mentioned root beer as a descriptor, something I didn’t pick up on right away but can see that now. Dark chocolate, vanilla, peanut brittle, peanut butter, and coconut. If you enjoy imperial stouts with more aggressive roast character, I would consider doubling the roasted malts in this recipe. Like I mentioned above, I increased the roasted malts from Mike’s original recipe and the roast character is still subtle (something I kind of like). 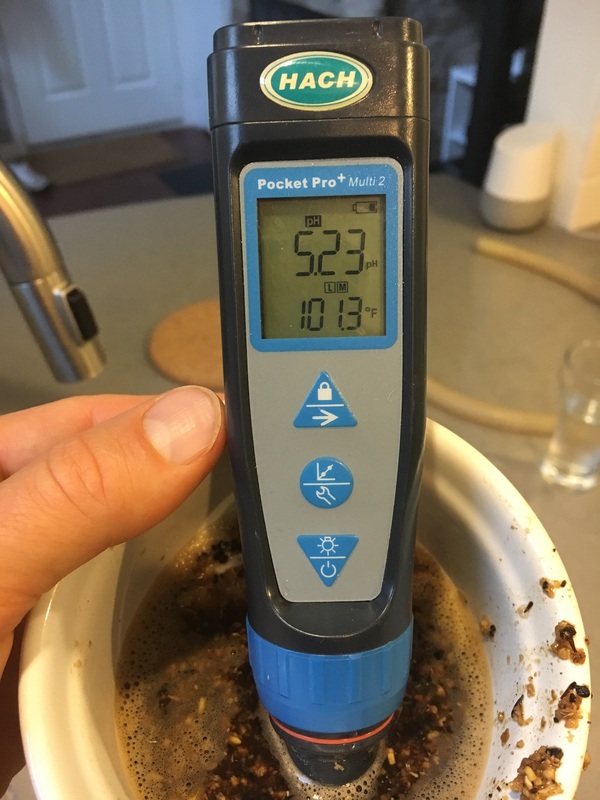 Adding some freshly roasted coffee beans to this beer for a short contact time would be a great way to experiment with increasing the roast flavor post-fermentation. The taste mainly follows the nose, but this is where the vanilla and slightly boozy warming alcohol finish comes through. I’m curious how this will change with some aging; my guess is the vanilla won’t fade too much considering a bottle of vanilla extract stays good seemingly forever. The mouthfeel is soft, silky, and dense, not quite syrupy, but close. A good friend whose palate I trust on these type of beers suggested I could have gone even higher in original gravity and ABV, in part, to increase the sweet and chewy mouthfeel to fudge-like levels. 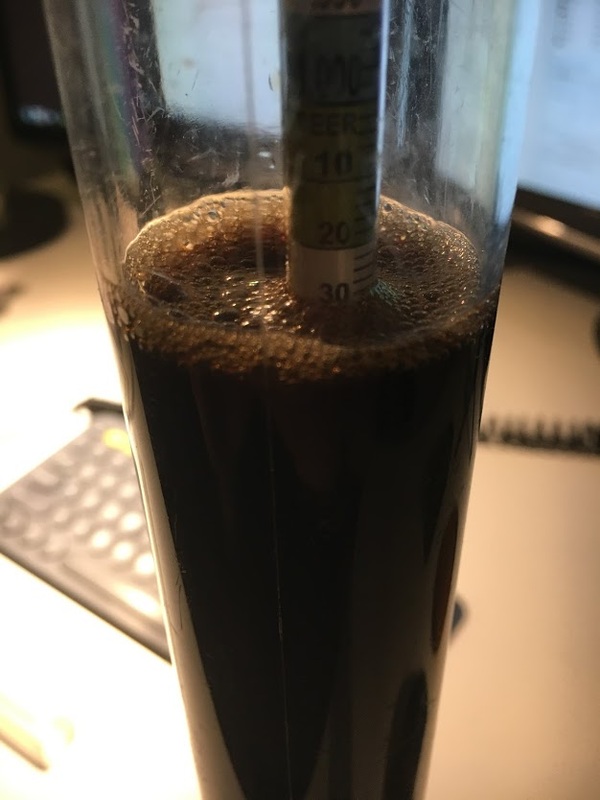 I plan on keeping this beer on tap for the rest of the month, but will eventually bottle off the rest of the keg to cellar until next winter to see how it ages/progresses. Overall, a fun beer to have on tap. One of those beers you can serve to non-beer people, and if they have a sweet-tooth at all would likely be impressed! Curious how you bottle from keg. Do you use a counter pressure?? I have an air blow gun tool hooked up to my C02 and I purge out the bottles and quickly fill them from the bottom up with very little pressure (2-5 psi) until it starts overflowing with beer only (no foam) and then slowly pull out the hose while the tap is still on to get the bottle as full as possible. I then immediately cap it, holding the cap down tight as best I can until it’s on for good. Nothing fancy or perfect, but I like the idea of hardly any headspace while a bottle ages, especially if it’s already 100% done fermenting. You use imperial for grain and metric for hops .. ? I find it easier to measure hops in grams, especially for smaller additions. Speaking as somebody that has used imperial and metric, you’d find it easier using metric for measuring grain as well if you tried it! I did an RIS that finished at 1.031 and found it too syrupy, so I’d be very skeptical of shooting for an even higher OG than what you achieved here. Imperial stouts should definitely have good body, but could you finish a 12 oz bottle of a 1.035ish OG beer and not feel unpleasantly full? It all depends on what you like. The great thing about having a big beer like this on tap is you can easily pour yourself small pour and enjoy it without thinking you have to finish an entire bottle. your malted wheat and chit malt quantities are 5lbs/16% each which is way more than in mike’s recipe (0.81 lbs/3.4%). plus your total grain bill is around 30 lbs vs 24ish lbs for mikes but both recipes aimaing for same batch size (i suppose) and OG? Could it be 5lbs wheat OR chit malt? I’m sure his efficiency is much better than mine, which would explain more grain. He also used some flaked grain, which I substituted with chit malt. I would pay more attention to the grain percentages and adjust for your system. Can you explain me how did you managed to get that mash pH from RO water and only Calciul Chloride? If i enter the recipe in Brunwater the predicted pH is under 5.00 even without the calcium chloride (that will also lower the pH even more). It’s been a while, but I may have just forgotten to note the use of baking soda to raise the pH.